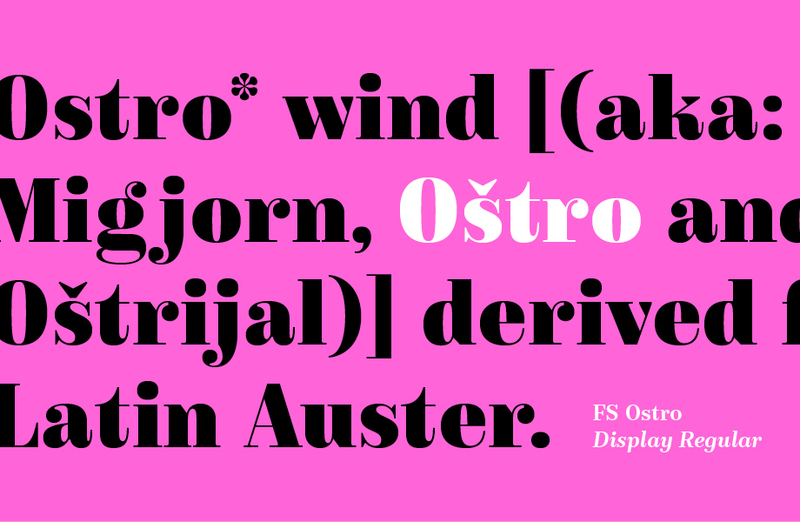 Named after a southerly wind that blows over the Mediterranean Sea, FS Ostro breathes warmth into letterforms with their roots in colder, stark Modern typefaces. 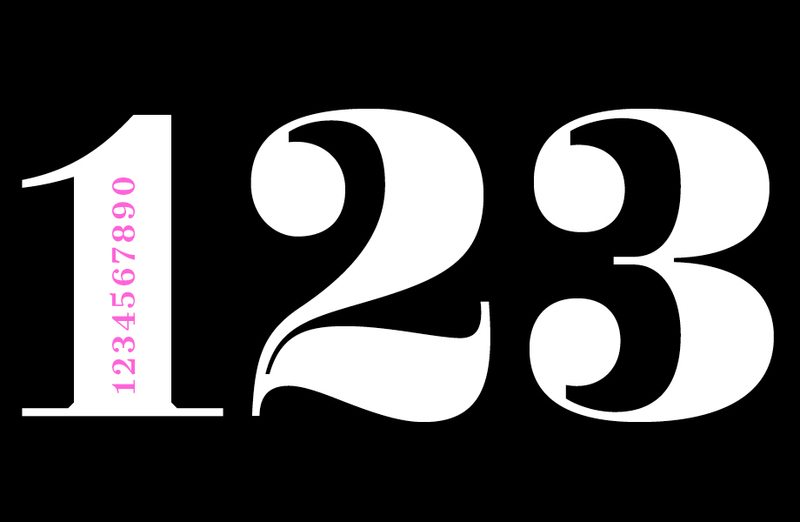 This elegant, cosmopolitan font is characterised by its thoughtfully modulated contrast between thick and thin, sharp angles and sophisticated curves. 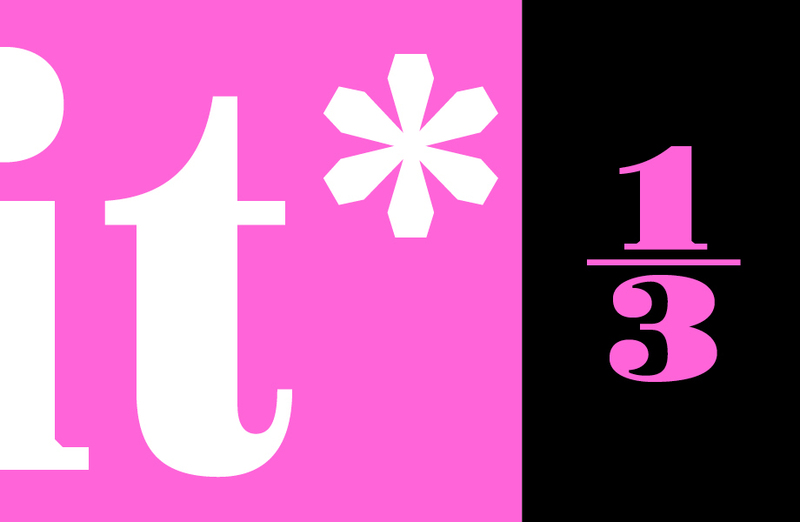 The letterforms are confident and fluid, creating an overall sense of refinement and modernity. One for the discerning, well-travelled reader. 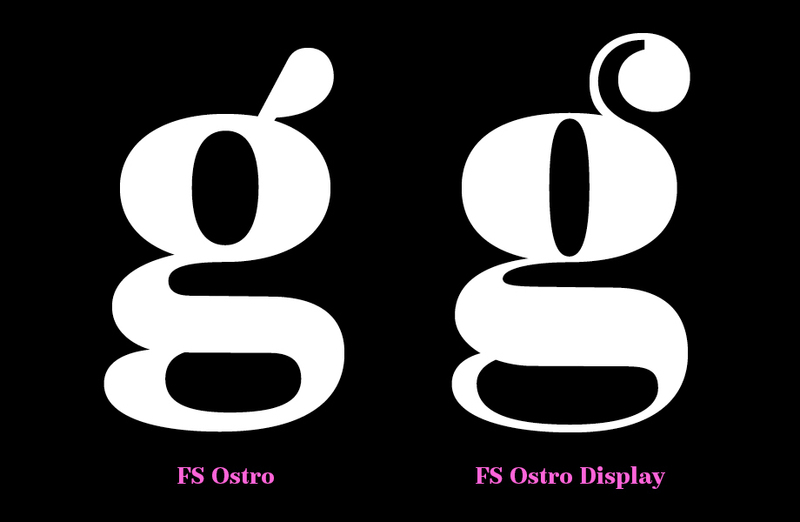 FS Ostro draws inspiration from a wide range of sources such as the 19th century British Scotch Roman designs, Italian modern style typefaces and highly contrasted display Spanish examples. 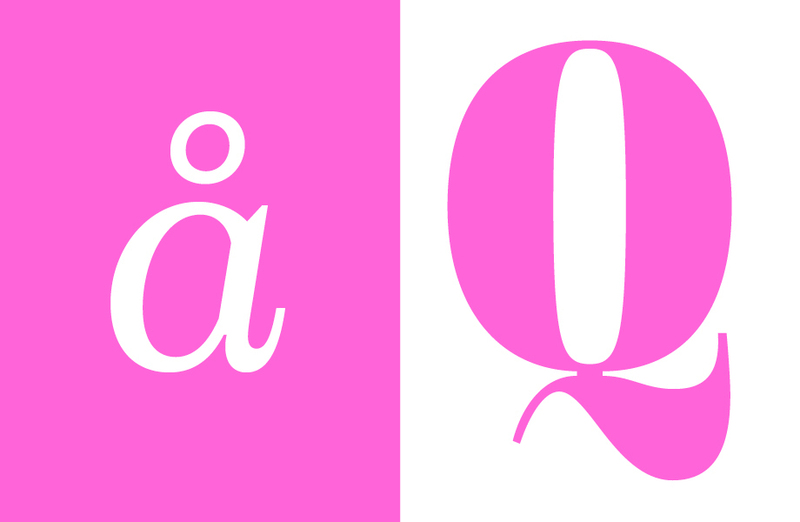 In continuous text, FS Ostro offers a consistent rhythm and robust texture that is easy on the eye; with a pleasantly sturdy texture in extended text setting — something not commonly found in conventional Modern style typefaces. 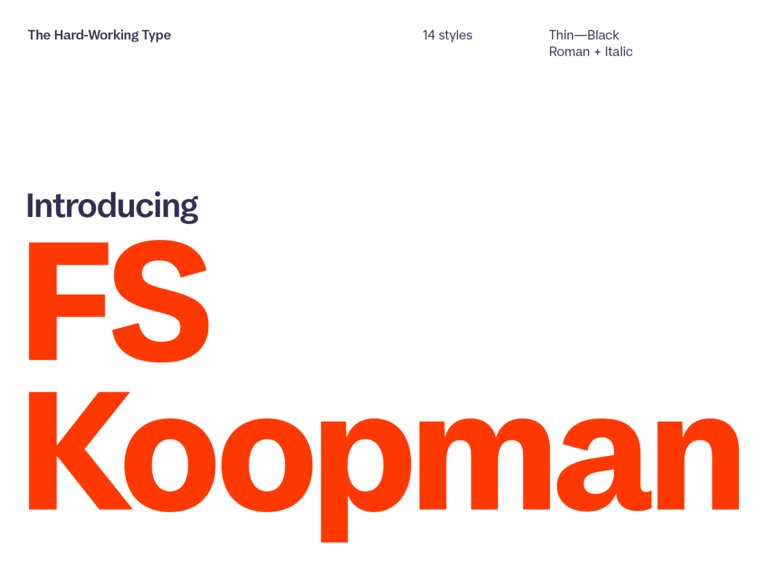 With carefully modulated contrast between thicks and thins, the harmonious balance of FS Ostro’s design creates clarity and readability across different sizes and weights. 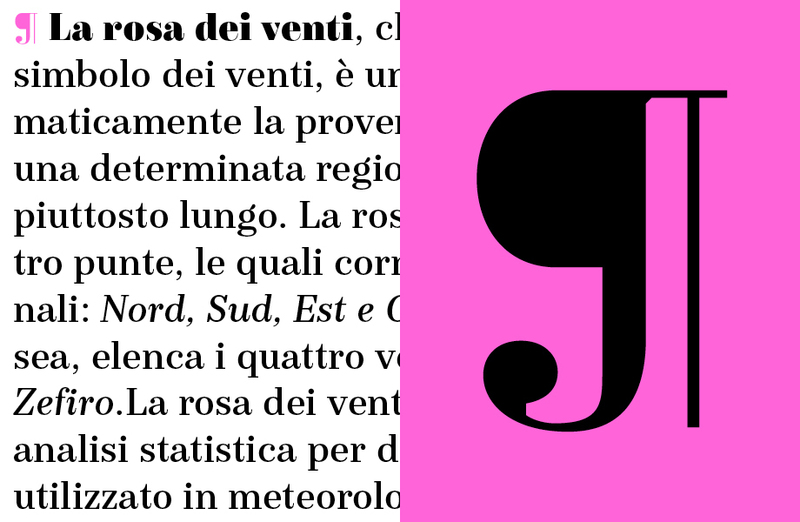 While its italics are more fluid, they maintain an understated tone, a restrained construction in the way the curves join the stem and a shallow slant angle. 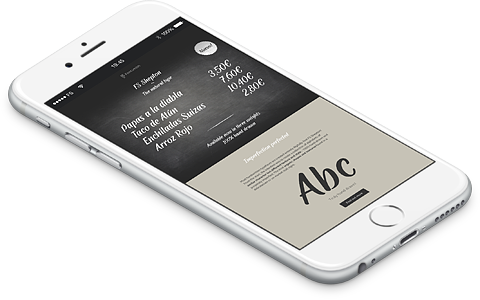 The discreet and sober aspects of the text version are purposefully prominent and more elaborate in the display styles, adding flair and versatility to the design. 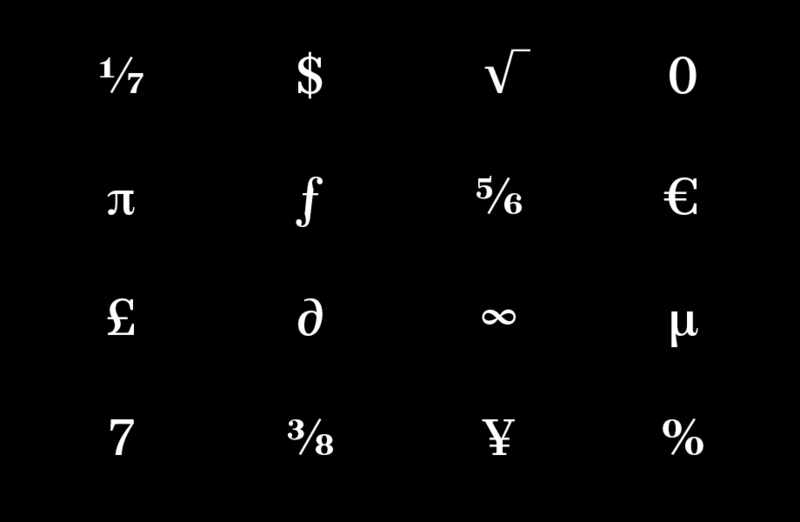 These exuberant details can be seen in the letter terminals, such as those in ‘a’ and ‘g’; in the tail of the ‘Q’, as well as in the set of numerals, fractions and arrows. 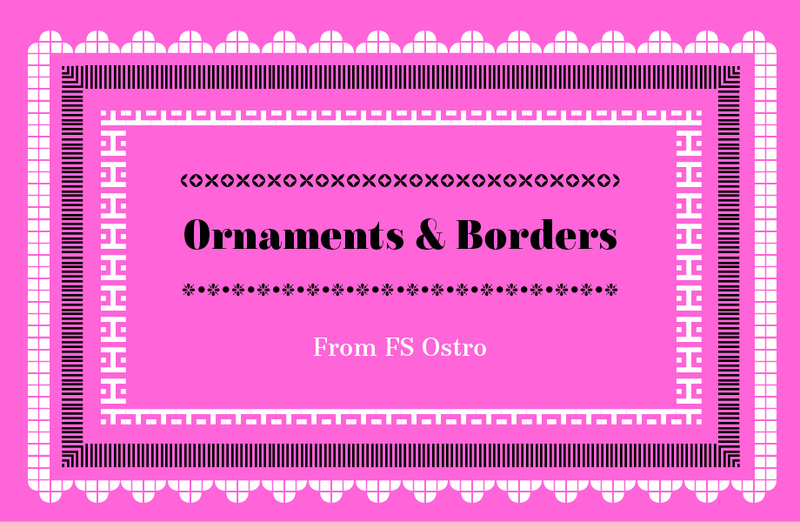 In addition, FS Ostro’s display styles offer a striking set of borders and ornaments, which can be used to build decorative framing elements. 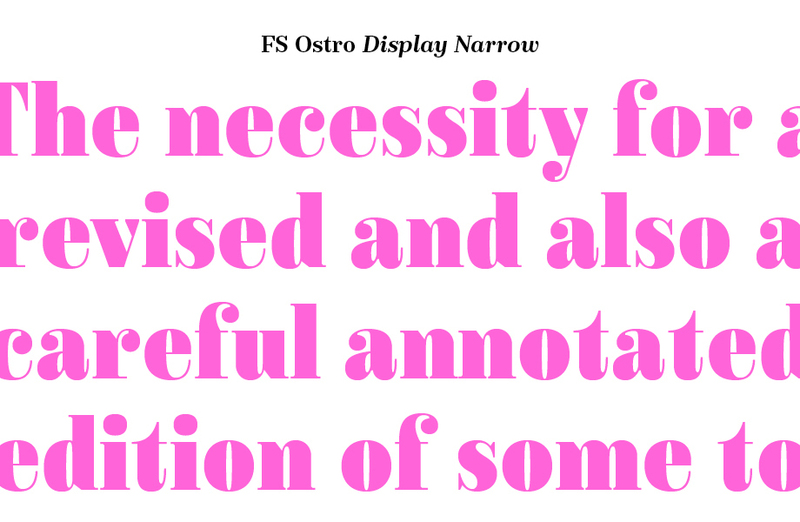 FS Ostro is a typeface imbued with modern, sophisticated elegance. It’s refined and sensitive, but with a self-assured presence on the page; graceful and energetic without being obtrusive. 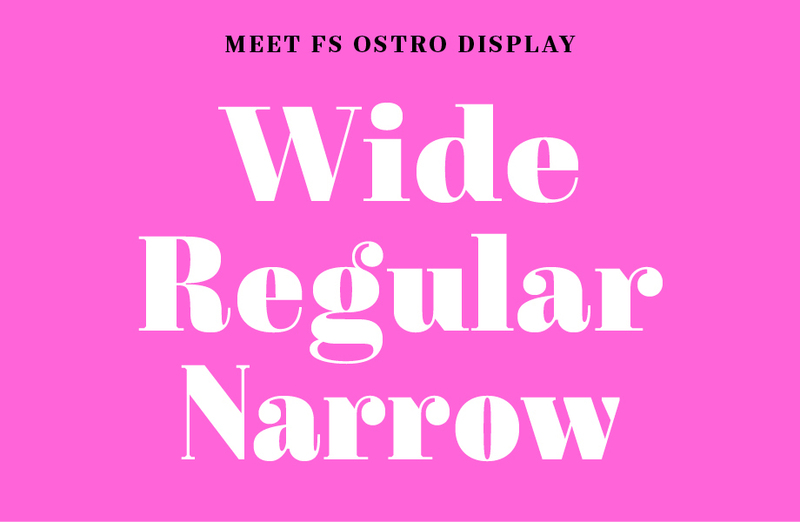 A balanced combination of practical considerations and tasteful flourishes makes FS Ostro a dependable choice, fit for a wide range of applications. 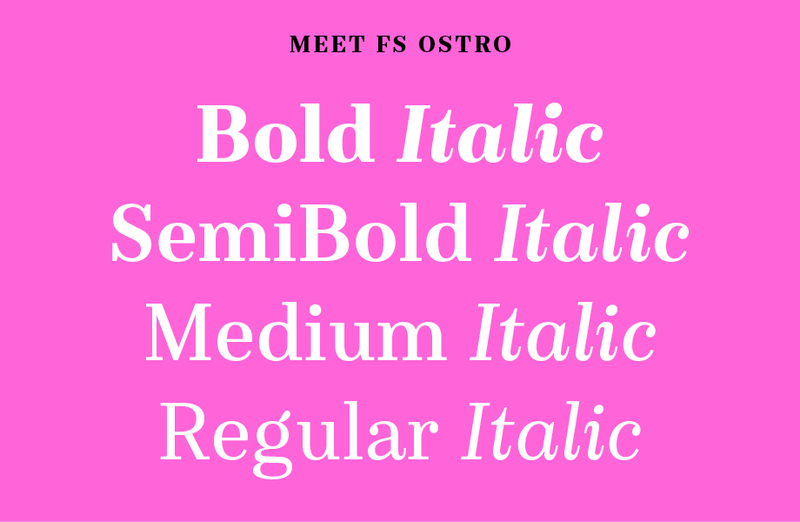 Test drive and buy FS Ostro.